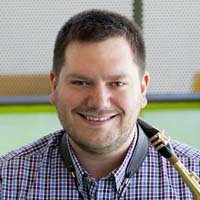 Alex Sellers is a saxophonist and educator based in the Metro Detroit area. Alex holds a Master of Music degree in Saxophone Performance from Oakland University in Rochester, MI, studying with Dr. Jeffrey Heisler. He also received a Master of Music degree in Music Technology and Bachelor of Music degree in Saxophone Performance from Georgia Southern University. Alex has spent a large portion of his professional life commissioning and premiering new music for the saxophone. Alex strives to contribute to the saxophone repertoire by commissioning new works regularly, and aims to focus on works including electronics. 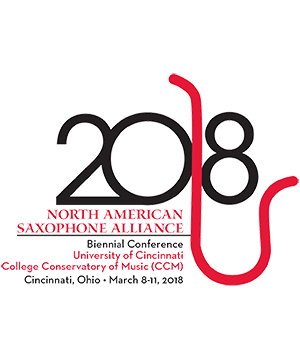 Notable commissioned works Broken by Anthony Donofrio, Velour by Michael James Olson, Shipbreaking for alto saxophone and interactive electronics by Benjamin Taylor, Dreams in the Dusk concerto by David Beidenbender, and most recently Alcoholic Dissertations concerto by Matthew Browne. Alex is featured on Decade Zero, a CD of works by Christopher Biggs. Rhys Burgess Piano Rhys Burgess is a first year masters student at Bowling Green State University, studying piano . . .
Garret Klauss Alto Saxophone Garret Klauss is an aspiring young musician from Michigan with a passion for the saxophone . . .